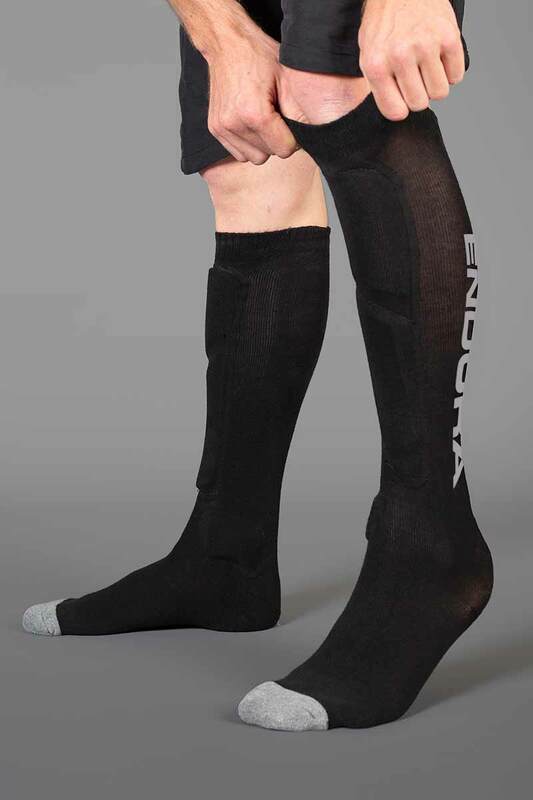 Give the most sensitive areas of your leg that extra little bit of protection without bulking out your ride with the Endura Singletrack Shin Guard Socks. These Singletrack Shin Guard Socks from Endura give you the extra defense you need while still maintaining an extraordinary level of comfort. We all know how painful it is when you clang your shin against the bike or in the event of a collision, so the extra protection offered here across the shin and ankle bones can be enormously appreciated thanks to high density foam inserts. The stretch cuffs provide a reliable and secure fit, while the soft fabric also wicks sweat away from the skin at incredible speed.